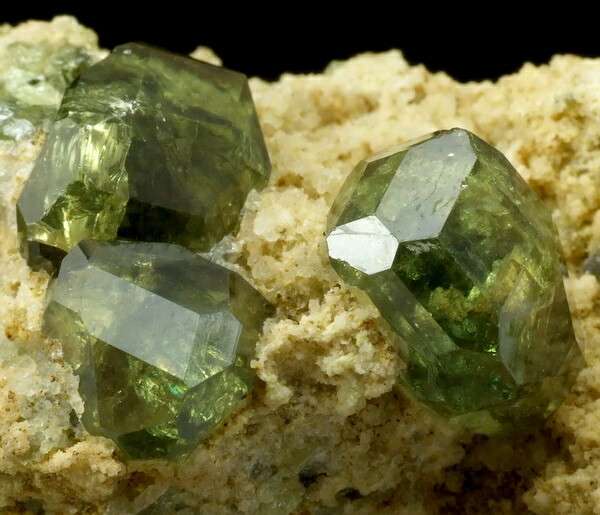 Gem demantoid crystals up to 1 cm; col. "Spirifer". Fot. G. Bijak. Green variety of andradite - demantoid - are classified as precious stone. 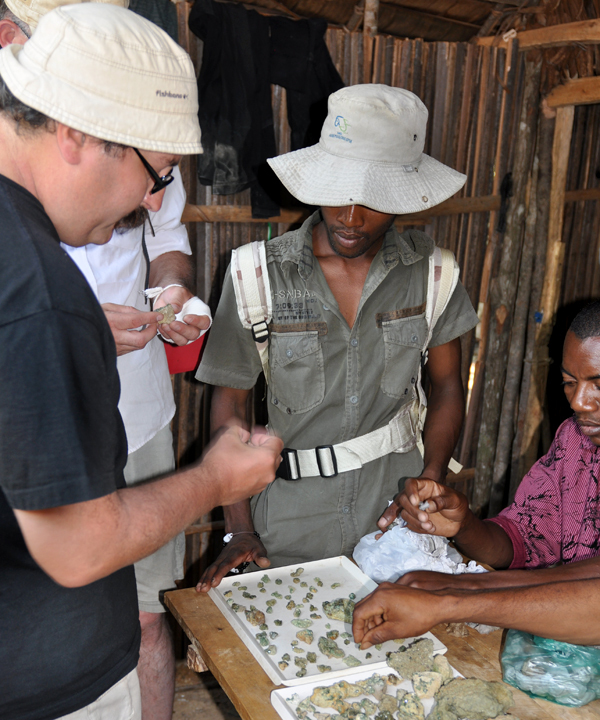 New discover in Antetezambato revolutionized world demantoid market. Big amount specimens already rich western market, many of specimens are very high quality, some of them are quality never seen before. 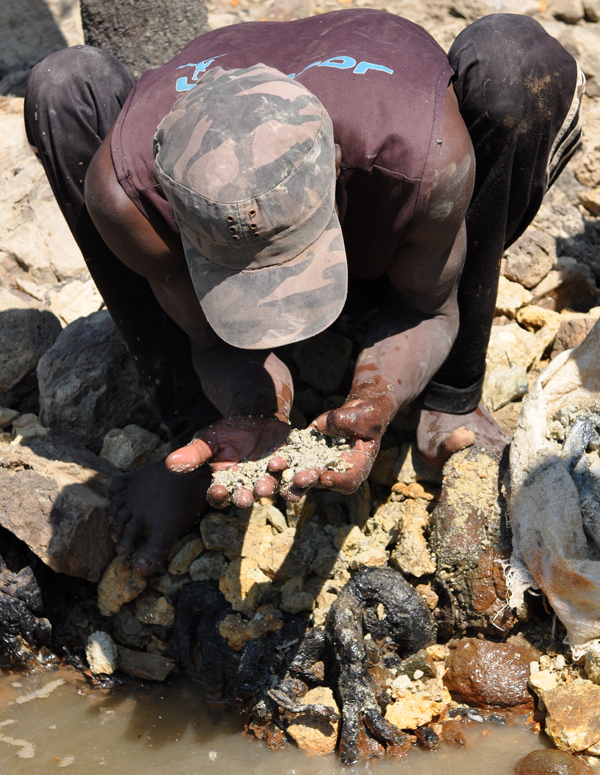 It can be expected that in next years many more Antetezambato demantoids will reach mineral market and surely became "new classic" from Madagascar. 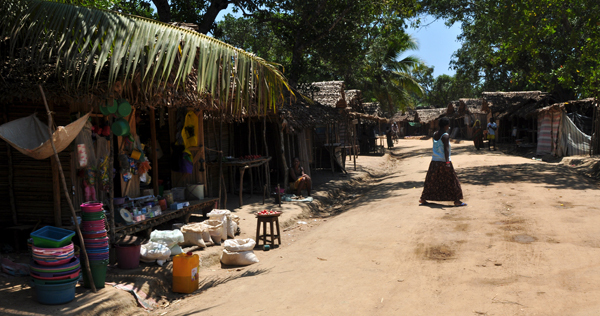 The village of Antetezambato consisted of 4-5 houses before the find of demantoides, that were discovered at the end of 2008. 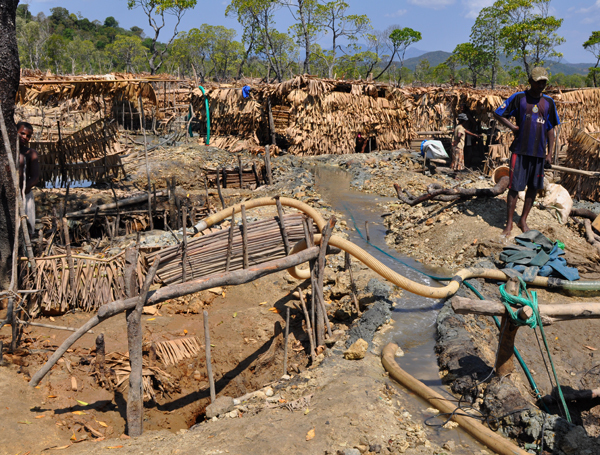 First miners started to come here in March 2009. 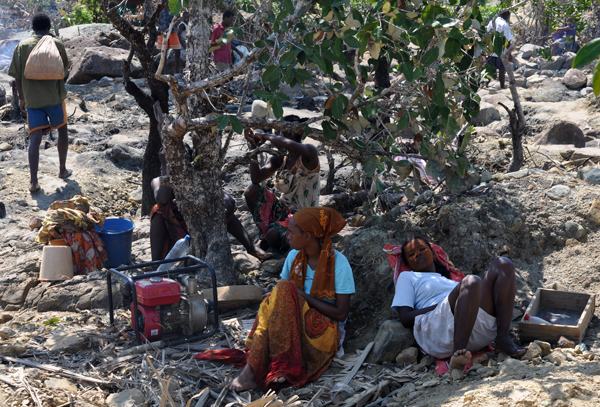 The demantoide-fever started - all the mineral dealers from the neighboring villages and miners from all the malagasy localities, even from remote Ilakaka came in search of new minerals. It is said that in the uppermost moment there were 10.000 new residents. Recentely (October 2009) only about 5.000 remained. The village is now really big it is built of houndreds of very simple hauses, a few `hotels` and a lot of `restaurants`. 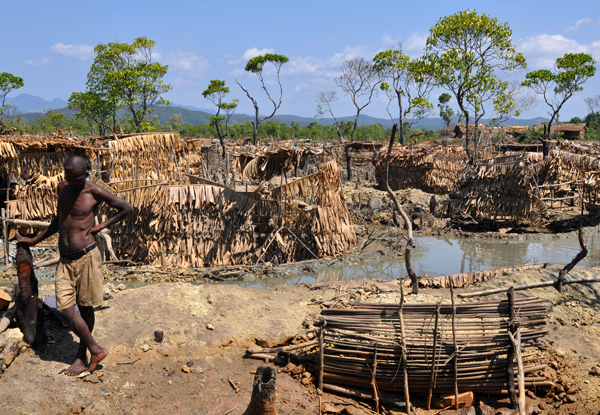 The pits are situated about 4 kilometers from the village in the mangroves. The miners dig dozen of meters deep holes. 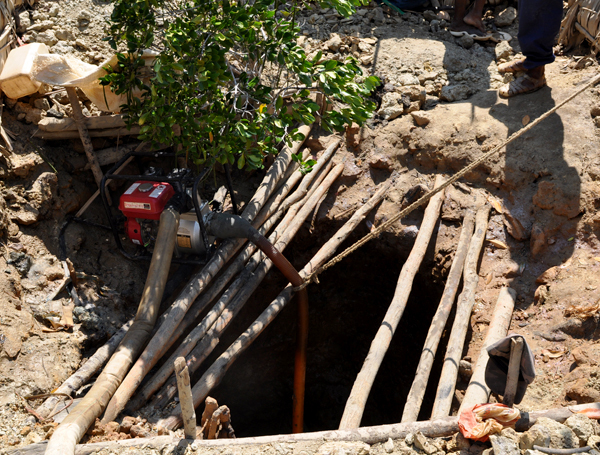 Team of 4 people needs 3 months to dig 13 meters deep hole. They do it all in very chaotic way, with very simple equipment. What makes it even more difficult the holes are flooded every-time after the higher tide. 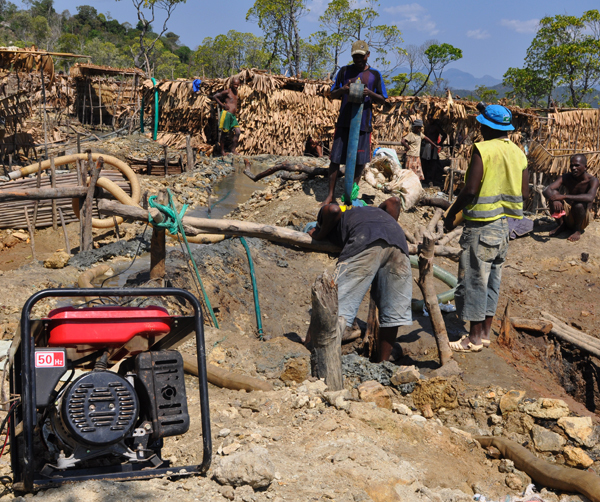 Miners use pumps and buckets to get rid of the water. Demantoids in Antetezambato occures in metasomatized Jurassic sedimentary rocks (marls and limestones). 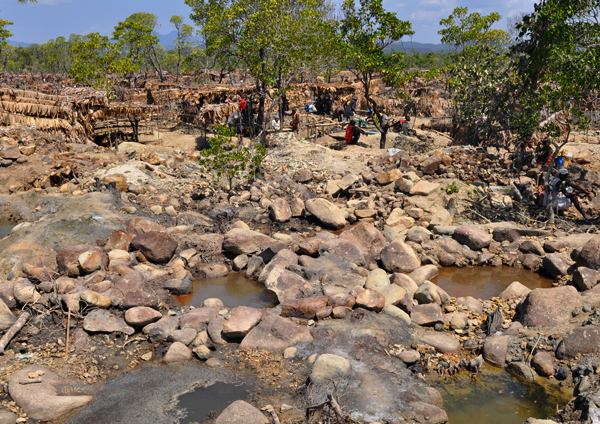 Mineralized zone is about 0,5 m thick, and is situated about 6-13 m below the surface. Demantoids occure with quartz (often light violet amethyst) in small cavities reaching up to about 20 cm (usually a few cm). Garnets are formed as trapezohedrons or rhombic dodectahedrons. Usually they are not very lustrous and not in very good color. 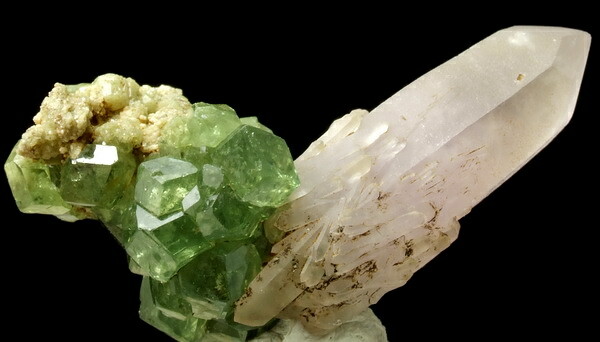 The best crystals reach up to 2 cm and are completely gem, very lustrous and of vibrant green color. Some crystals are skeletal. Majority of the crystals are found as loose ones. Matrix specimens are much more rare and usually have only a few cm. Specimens containing good quality crystals and in size over 10 cm are extremely rare as well as extremely expensive. Bigger article about this find will be published soon in international collectors journal. Main bridge in Antetezambato (which means "stone bridge"). Fot. J. Gajowniczek. 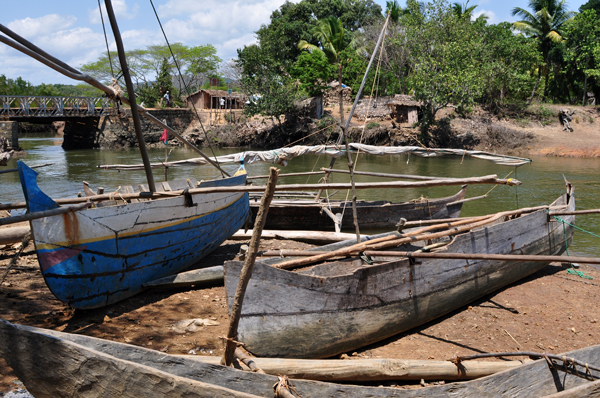 Port in Antetezambato. Fot. J. Gajowniczek. 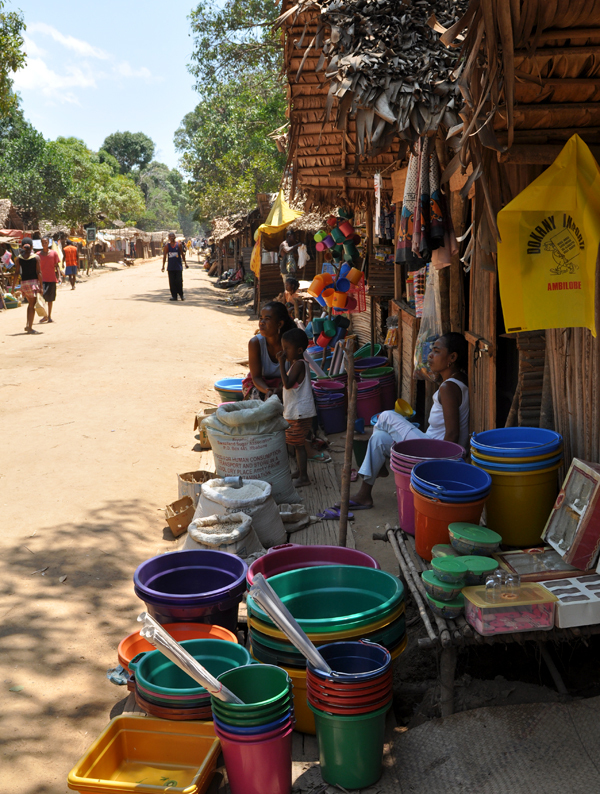 Main street in Antetezambato village. Fot. J. Gajowniczek. Dealers with poor quality matrix specimens. Fot. J. Gajowniczek. 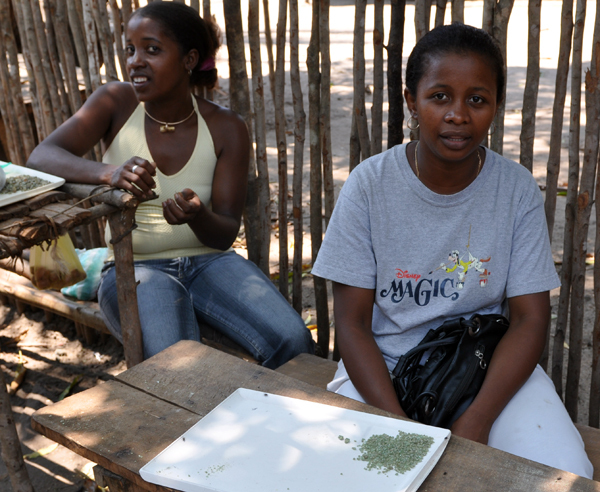 Dealers of gem crystals. Fot. J. Gajowniczek. Demantoids` workings. Fot. J. Gajowniczek. Pumping water after the high tide. Fot. J. Gajowniczek. Pump used for "cleaning" the pit after the high tide. Fot. J. Gajowniczek. Miner inside partly flooded pit. Fot. R. Zawadzki. In the middle of workings. Fot. J. Gajowniczek. Looking for demantoids crystals in the mud. Fot. J. Gajowniczek. Reposing under the mangrove tree. Fot. J. Gajowniczek. 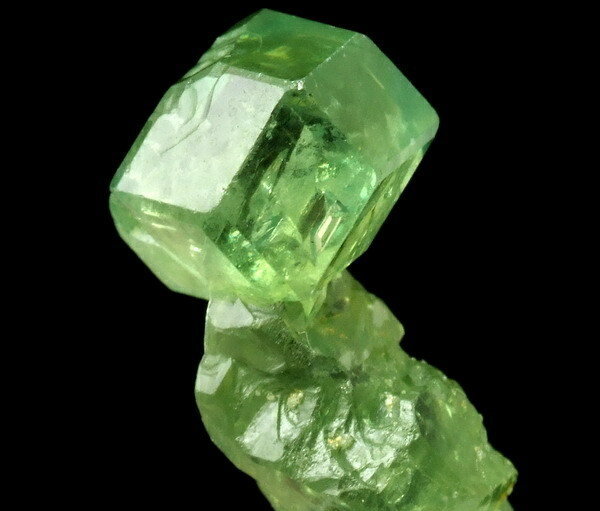 Demantoid specimen, size 1.7 cm; col. "Spirifer". Fot. G. Bijak. 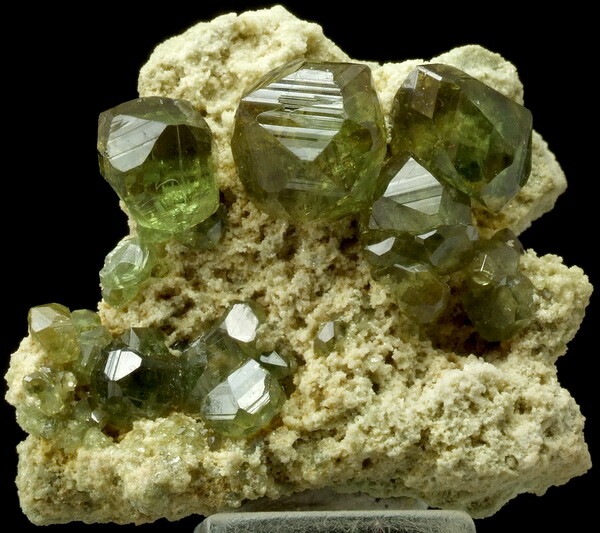 Demantoid specimen, size 9 cm; col. "Spirifer". Fot. G. Bijak. 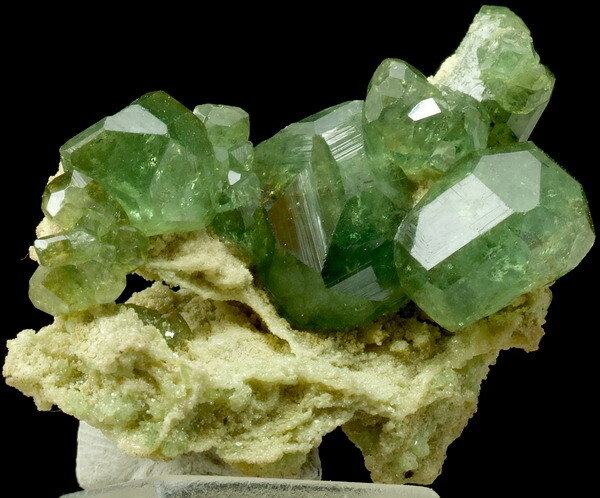 Demantoid specimen, size 4 cm; col. "Spirifer". Fot. G. Bijak. 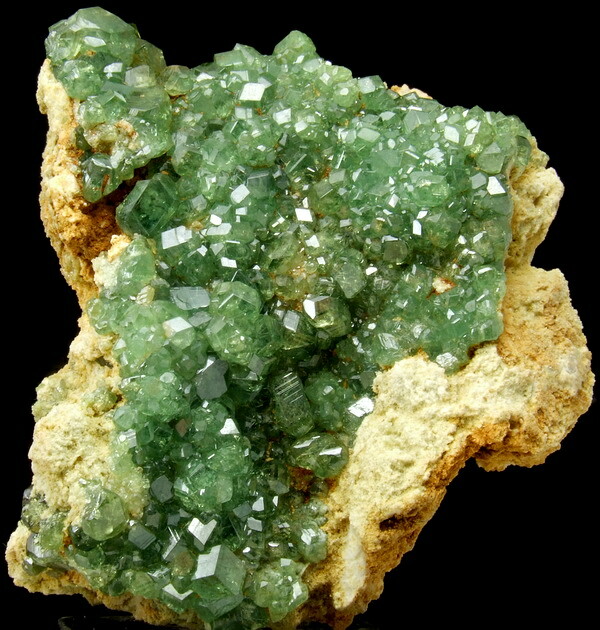 Demantoid specimen, size 5.2 cm; col. "Spirifer". Fot. G. Bijak. 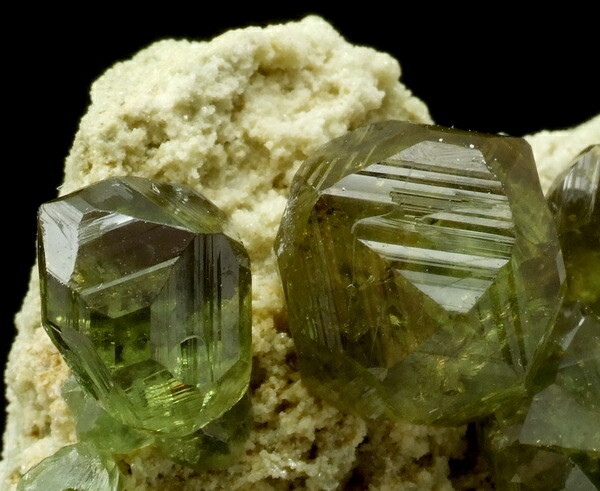 Demantoid specimen, size 3.2 cm; col. "Spirifer". Fot. G. Bijak. 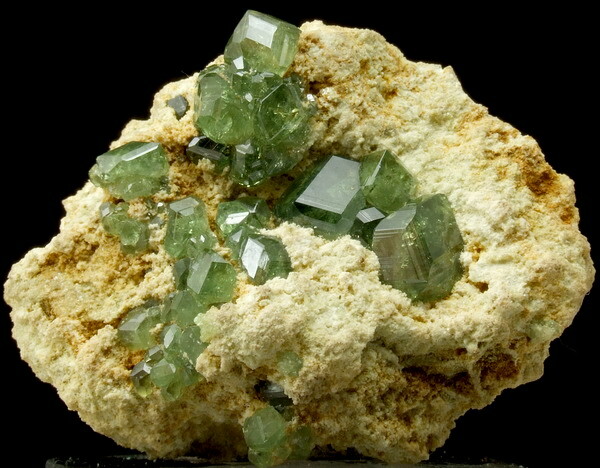 Demantoid crystals with quartz, size 3.6 cm; col. "Spirifer". Fot. G. Bijak. 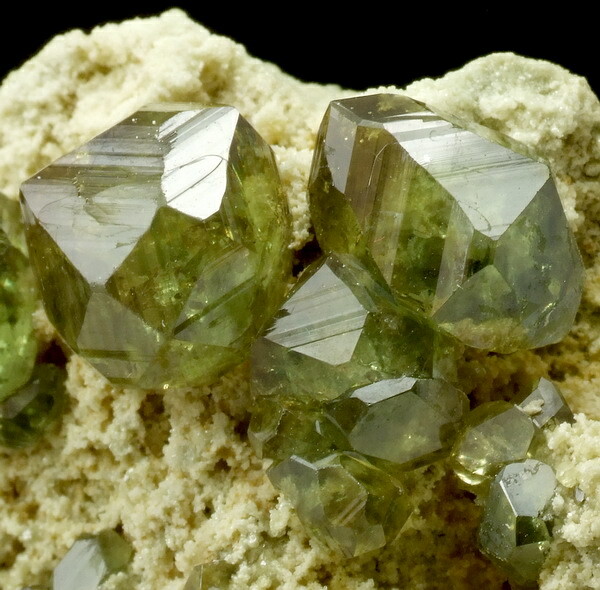 Gem demantoid crystals up to 1.2 cm; col. "Spirifer". Fot. G. Bijak.